Crafters Collection: Bead Embroidery Size Asst. A delightful and unique combination of needles can be found inside this wallet. Have you ever finished your piece of embroidery and thought it just needs a little something? Why not awaken your creativity and add beads to your embroidery. 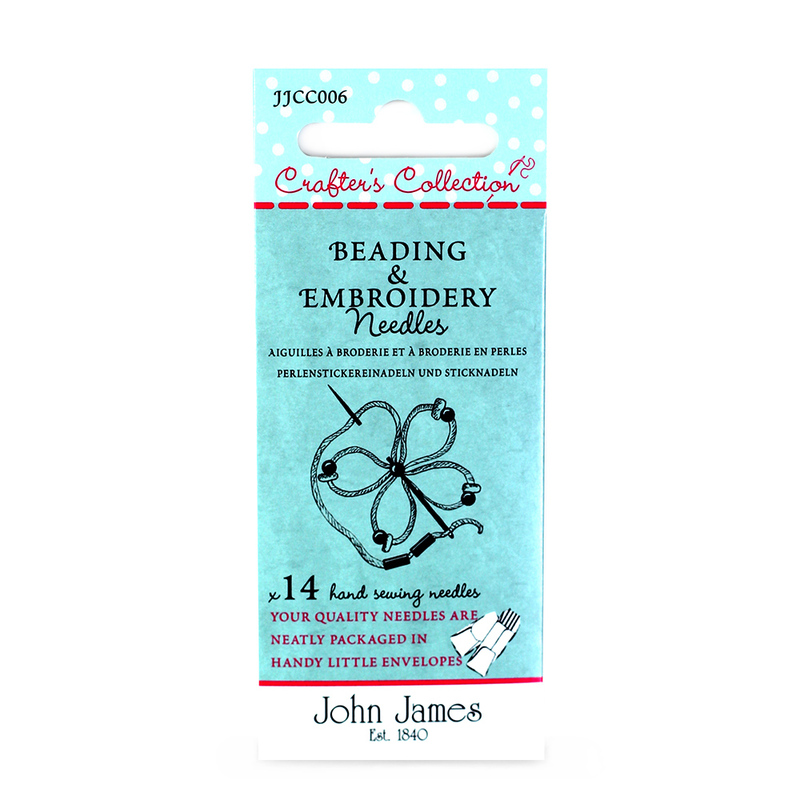 A size 10 short beading needle with a sharp point allows you to either add small petite or bugle beads on top of your work or include the bead whilst creating the embroidery stitch.